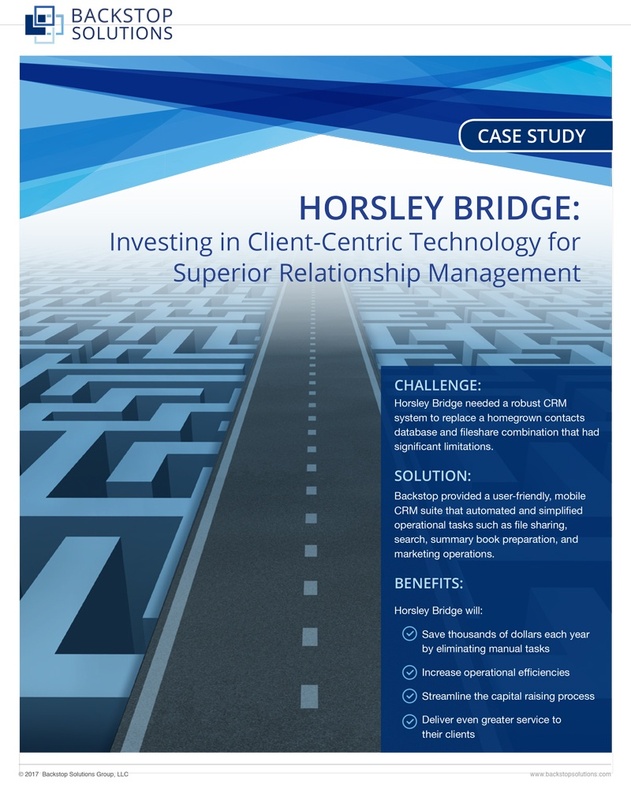 Learn how Horsley Bridge, a premier fund of funds based in San Francisco, CA, is investing in Backstop's client-centric technology for superior relationship management. 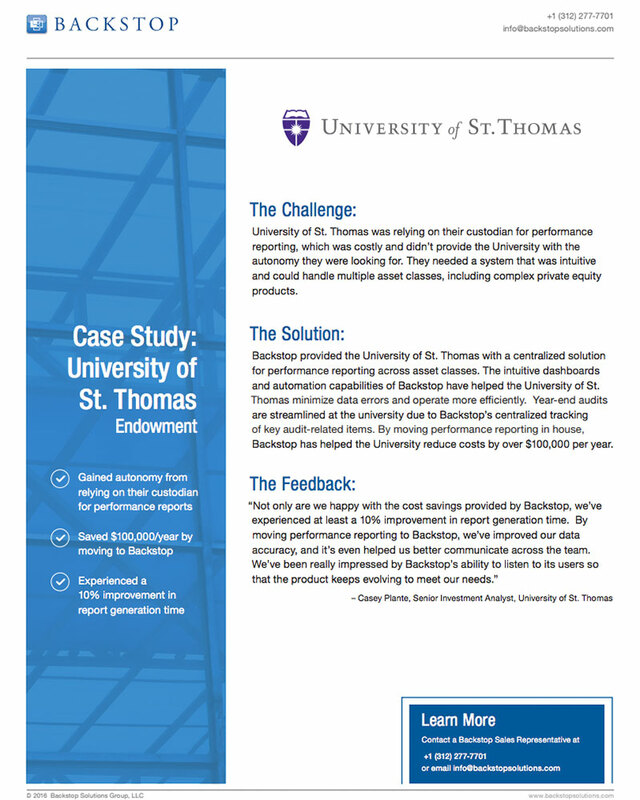 Backstop successfully helped this endowment increase data accuracy, report generation and team communication. 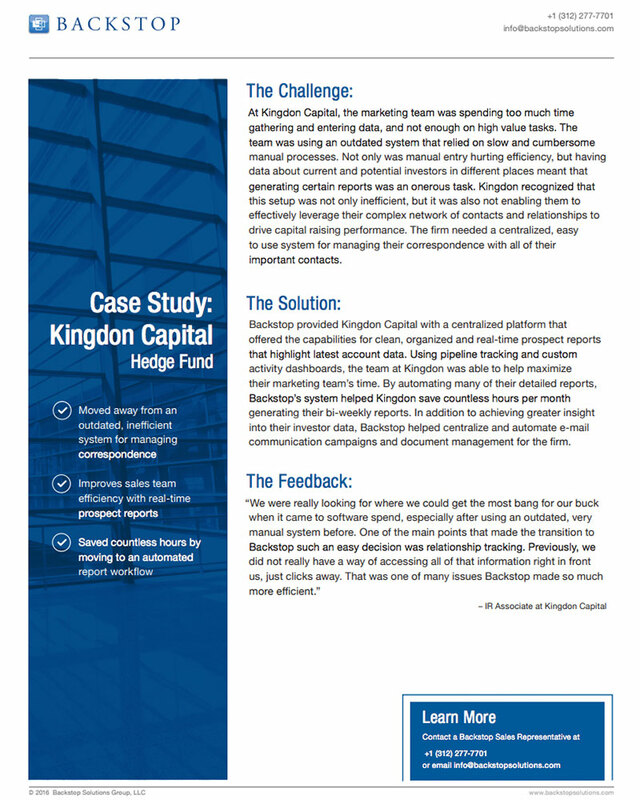 Backstop helped this hedge fund be more efficient and provided reporting solutions to save their team countless hours of time. 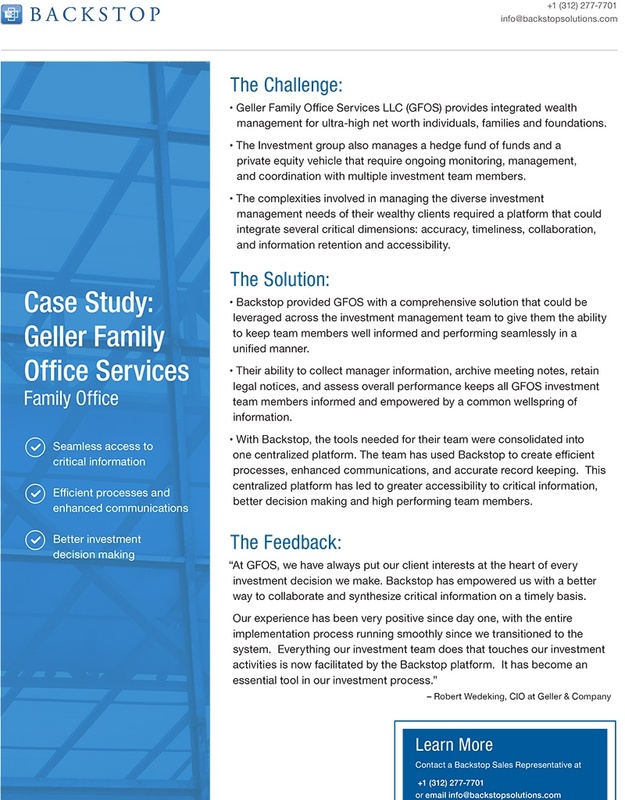 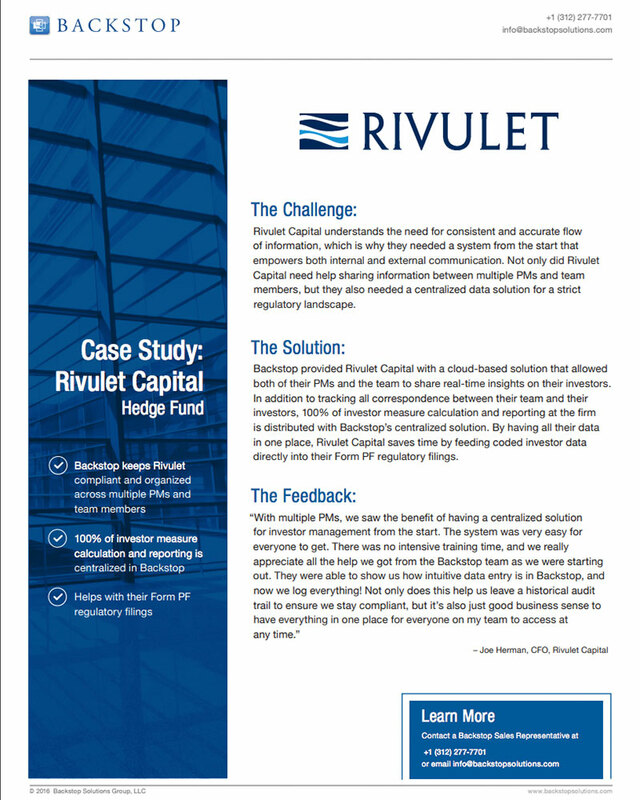 Backstop helped this hedge fund save time and create effective communication between internal teams and investors.